Sponsored by: Timberline Drilling, Inc.
Abstract: In 2012, I discovered fragments of oceanic upper mantle—harzburgite, olivine orthopyroxenite, and serpentinized dunite—in an unexpected place: southwest Arizona. 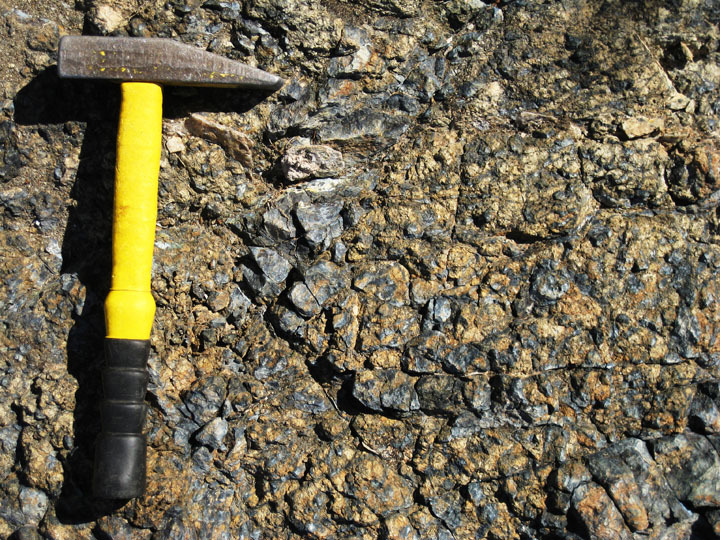 These peridotites and pyroxenites crop out as tectonic blocks or slabs (50–300 m long) within a newly recognized exposure of Orocopia-Pelona Schist, at Cemetery Ridge (130 km west of Phoenix). The Orocopia-Pelona Schist is part of a Late Cretaceous to Paleogene (“Laramide”) subduction complex that, according to current tectonic models, underlies most of southern California and Arizona. Where did these pieces of oceanic mantle, now exposed several hundred kilometers inland from the present and Laramide continental margin, come from? Relict olivine in harzburgite, Cemetery Ridge, southwestern Arizona. Width of view 2 mm; crossed polarzers. Petrographic and geochemical characteristics of the peridotite at Cemetery Ridge are in some ways similar to mantle-wedge (suprasubduction) peridotites and serpentinites, but in other ways more like abyssal peridotites and serpentinites. Initial interpretation of ambiguous field and petrologic data suggests the peridotite may have been detached from the leading corner or edge of a mantle wedge, presumably in (pre-San Andreas fault) southwest California. However, derivation from the subducting plate is not precluded. Cartoon showing four tectonic settings where mantle peridotite in the Laramide subduction complex exposed at Cemetery Ridge could have originated. Number 4 is unlikely. 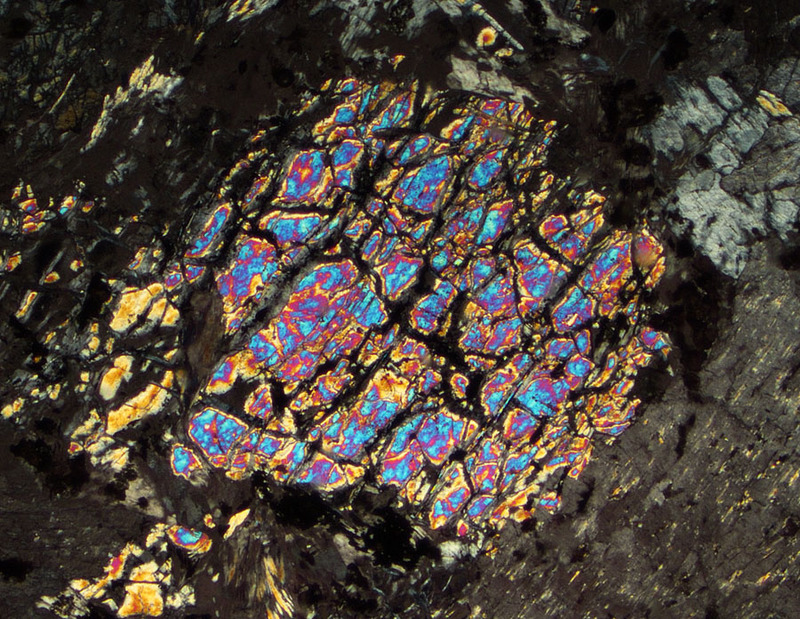 Haxel, G.B., Jacobson, C.E., and Wittke, J.H., 2014, Mantle peridotite in newly discovered far-inland subduction complex, southwest Arizona: initial report: International Geology Review, v. 56, doi:10.1080/00206814.2014.928916. 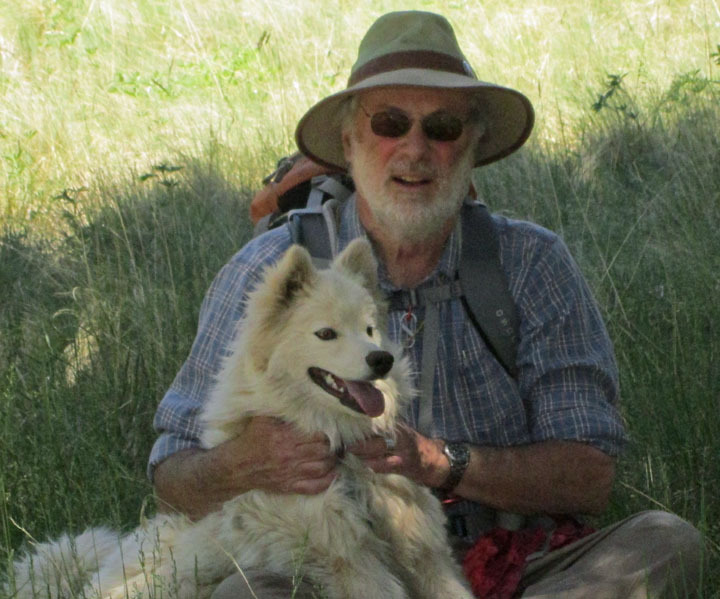 Bio: Gordon Haxel is Scientist Emeritus with the U.S. Geological Survey in Flagstaff. He retired in 2008 after 32 years as Research Geologist and Geochemist. His general interests are geologic mapping, regional geology and metallogeny, igneous petrology, and elemental geochemistry. Past projects and publications include Laramide orogenesis in south-central Arizona*, petrology and tectonic setting of the Jurassic arc segment extending across the Sonora and Mojave Deserts*, the threatened desert tortoise, REE resources*, alkaline igneous rocks associated with the Mountain Pass REE deposit*, and global production of the chemical elements* (*topics of previous AGS presentations). Since 2012 his research has focused on oceanic peridotite in southwest Arizona, the subject of this talk. Gordon received B.S. and M.S. degrees in Electrical Engineering from the University of Illinois, and the Ph.D. in Geology from the University of California, Santa Barbara. He has been a member of the Arizona Geological Society since he began mapping in the state in 1976.